This entry was posted on Friday, December 15th, 2017 at 7:45 am	and is filed under Scripture Memory, Scripture Memory 2017, Uncategorized. You can follow any responses to this entry through the RSS 2.0 feed. You can skip to the end and leave a response. Pinging is currently not allowed. Ruth Schick from Brookville, Ohio. Finally , be strong in the Lord and in his mighty power. So now faith hope and love abide these three. But the greatest of these is love. I pray that LPL in Seattle is the beginning of a ripple effect with deep rooted move in the heart to be true and real followers Jesus! About ten till seven pm this evening I had the most unusual experience of a call to prayer. The desire for prayer was so strong I felt sick to my stomach. Prior to this happened my thoughts have been LPL event at Overlake Christian Church and prayer. (I am writing the this article in reverse timeline.) I live in Seattle and had business meeting in Redmond near Overlake. During my commute over the 520 floating bridge heading to Seattle the pieces of evening prior started coming together. 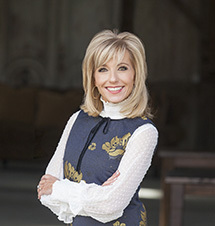 Ah that right Beth Moore is speaking this weekend. A valued friend has been threw a great deal the last few years. She is deep hearted women after God’s Own heart. Though it has been a year plus since we last talked. I pray over her from time to time. See battles of heart and soul in peoples in difference arenas, hurts. With all of this thought, prayer importance is an absolute foundation for cause and effect. Nearly half way through Seattle ideas began flow about spreading the word for men to pray over this weekend. A couple mile shy of being home I began to have an aerial view visions of what is taking place at O.C.C.. I have been at Overlake Christian Church a number times so I sought threw image in my mind, seeking the Spirit of God to direct me whether is was from my own mind or granted by the Holy Spirit. Excepting that it was from the Holy Spirit. The importance of GOD’s work of what is happening and the magnitude of this weekend occupied my heart. The desire of prayer became vividly strong as I back into the driveway. I sat in my car, the importance of praying over the event happen to such a degree that I felt sick to my stomach. Before closing a pauses took place to pray. GOD you are Holy, praise you, praise for the Loving GOD you are, may your power be over the women tonight to strengthen and comfort them in your loving arms. Work into their lives the call of your will of being identified in your Son, and for your Glory! Are you going to do SSMT 2019? My newish pup just chewed up my 2015 spiral notebook. He mainly ate one tiny corner from the whole notebook and memory verse 9, which for me was Matthew 22: 37-40. Loving God and our neighbor. Interesting word to chew up…. We will actually not be doing SSMT in 2019. So sorry about that! Praying your verse memorization is full of joy and blessings in 2019.